Birthdays are where we have to give in- I can’t choose a vegan restaurant on my Mom’s birthday even though she is open to different types of dining; besides I don’t think there even is a vegan restaurant in White Plains- but there should be! 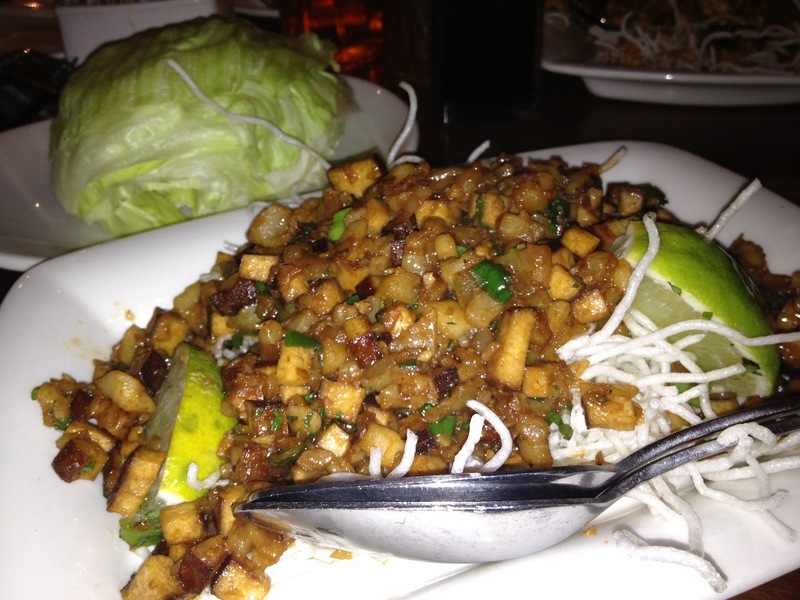 We chose PF Chang’s– mostly because of the lettuce wraps and the fact that it’s smack in the middle of one of my favorite shopping malls- The Westchester! When out with my Mom, it will generally begin with just one cosmopolitan- but oh boy- they better make it good or we will hear about it for hours lol. Both my brother and I have major bartending experience so we both attempt to order it for her just the right way! I guess we were a bit complex lol- that the bartender came out to the table! My Mom’s Cosmo was hand delivered and the bartender made it to perfection. 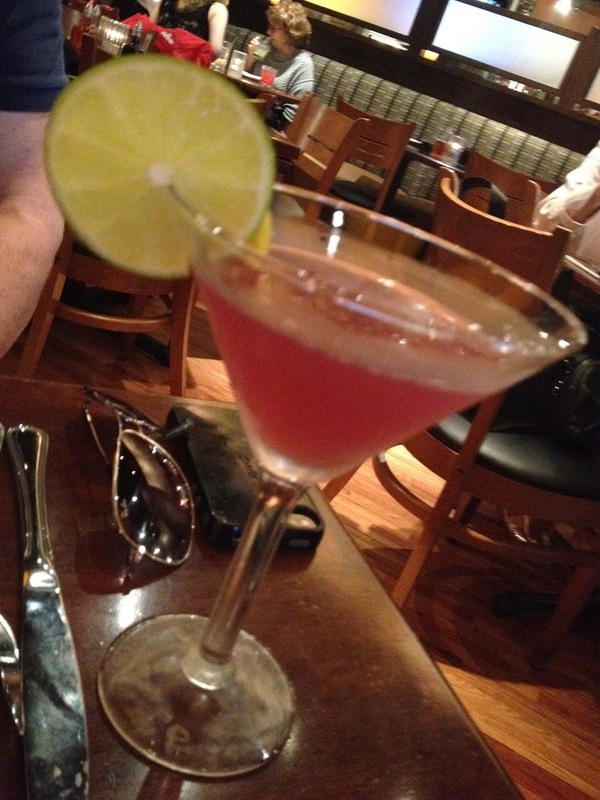 “This is the perfect Cosmo” she said- from an original recipe including a bit of chambord. Both my brother and I had never heard of that but we were open to it and it looked great- the gesture was lovely and we more than appreciated it. I later tipped her just for the extra attention- I can be high maintenance sometimes but at least I am a good tipper! Anyway, the appetizers and entrees were amazing as always in PF Chang’s. 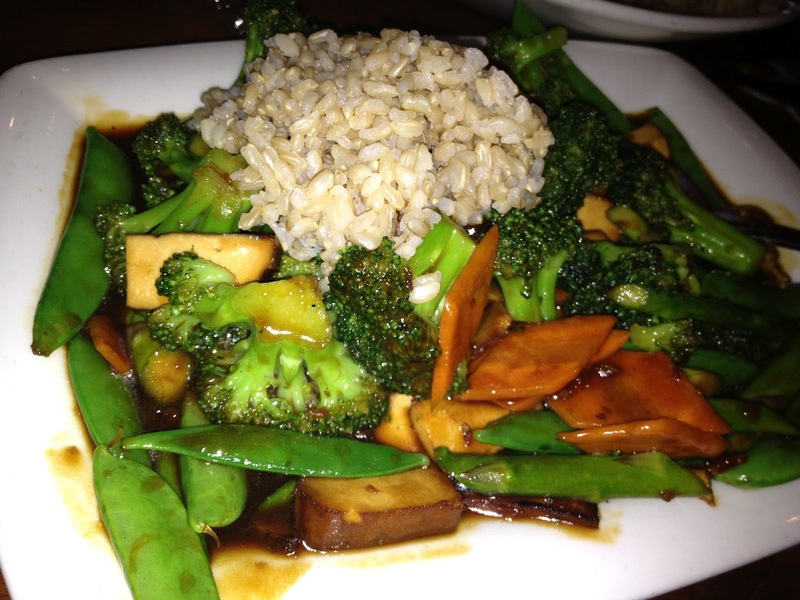 I had Buddha’s Feast– an entree with vegetables, baked tofu and brown rice. I love asian restaurants- they know what tofu is and how to serve it well. My only concerns with this kind of dining is that the entrees are loaded with too much sauce and the tofu is not organic thereby making it GMO (genetically modified) as is over 90% of soy and corn products in this country!. Dessert– we were about to skip when they came over with a special chocolate cake with candles for my Mom (without asking) and a special vegan fruit dish for me– lol- without asking! I guess I am not that much of a pain after all. My vegan experience at PF Changes was awesome- it might as well have been my birthday!